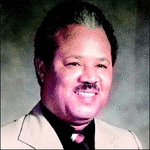 Obituary for James B. Adams, Sr. | McGuire Funeral Service, Inc.
James Benedict Adams, Sr. passed away peacefully with his beloved wife, Harriet L. Adams, son, James B. Adams, Jr., and daughter, Lisa C. Adams, at his side. James (Jim) and Harriet retired from the National Security Agency (NSA) after 33 years of service and celebrated their 60th wedding anniversary on December 20, 2018. James graduated from Bluefield State College and was a member of the Alpha Phi Alpha Fraternity and subsequently served in the United States Navy and the Air Force. James is also survived by his dearly beloved grandchildren, James B. Adams III and Sarah Ashley Holness, in addition to several beloved nieces and nephews, other relatives and friends.